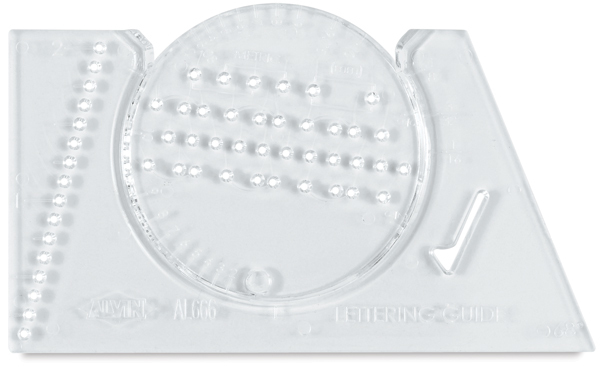 The Alvin Ames Lettering Guide is perfect for drawing guiding lines for hand lettering. Whether you’re writing calligraphy on wedding invitations or lettering comic strips, the Lettering Guide ensures consistency in the size and uniformity of your letters. Just spin the rotating disk to choose the guideline size that is right for your project. The Alvin Ames Lettering Guide is made of durable plastic and has both English and metric line spacing. It measures 3-7/8" × 2-3/8" (9.8 cm × 6 cm).